If you find my ATC audio clips helpful, then why don't you make some of your own? Go to the LiveATC archives. Find a feed you like, and download one or more mp3 audio files. LiveATC.net breaks the audio into 30-minute segments, so you may want to download several files covering a few hours. Open Audacity. You can find installation instructions on the Audacity website. Drag and drop the mp3 files into a new Audacity project. Select all tracks. On my Mac I use command-A, or you can choose Tracks > Select > All from the menu. 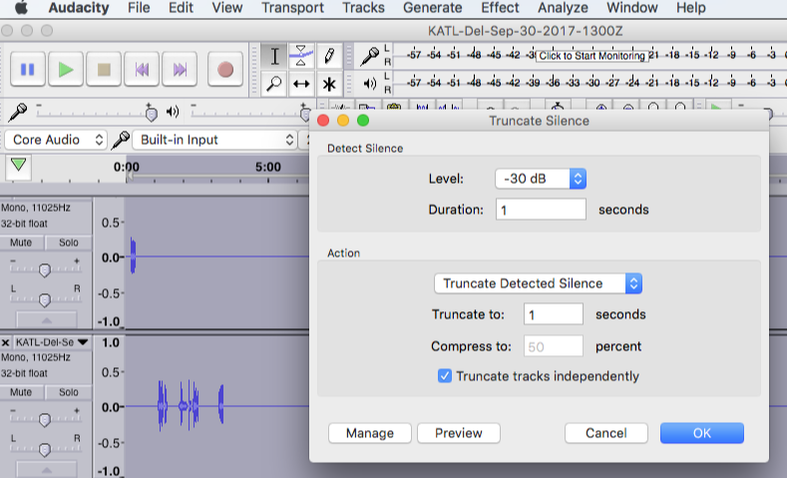 From the menu, choose Effect > Truncate Silence. The screenshot shows the settings I used. 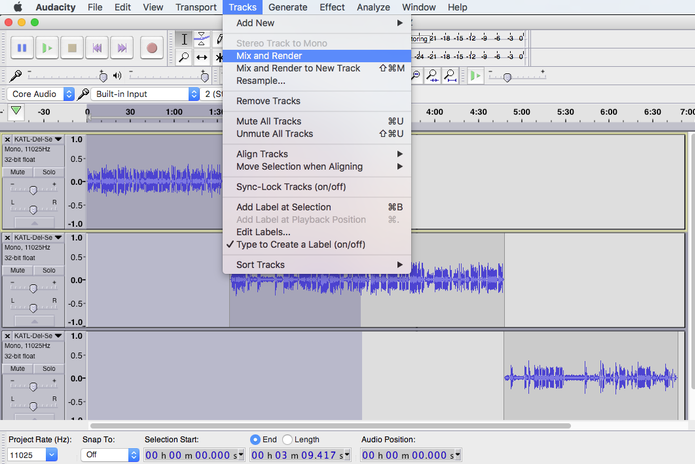 You can tweak them, but you must choose truncate tracks independently. Click OK and wait for the process to finish. 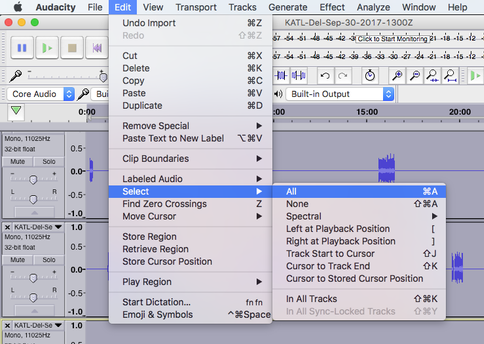 Click Tracks > Align Tracks > Align End to End. Finally Tracks > Mix and Render. That's it! Now you have one track of condensed ATC audio for your listening delight! If desired, choose File > Export Audio to save an audio file that you can share or listen to later.